We offer stud service at reasonable rates that can vary depending upon which stud you choose and the registration and bloodline of that stud. The rate also depends upon your in-state or out of state location. We might also consider a stud to mate with one of our females. Our average rate range is $75.00 to $200.00 plus a puppy from the mating. The actual amount will depend primarily upon location and the stud chosen. Our puppies generally range in price from 450.00 to 650.00 depending upon the bloodline and AKC vs CKC registry of the sire and dam. All AKC puppies will be 650.00 or more. We accept deposits at any time to hold one of our available puppies or for an advance on a future breeding. Deposits may be paid by check, money order or cash. When paying in full by check or money order both of these payment choices must clear any financial institutions they are drawn on prior to picking up your new puppy. If you choose to make final payment at pick up time then the final payment will be a cash only transaction. Pictured at left is our young male Wolfe, our gentle and lovable blue-eyed agouti.Wolfe is available for stud service. 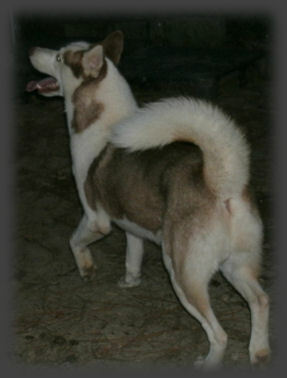 At Huskies Extraordinaire of Cafitachiqui we have several handsome males, all extremely healthy. If you are thinking of utilizing a stud service then please send us an email to [email protected] or give us a call at 803-420-1916 so that we can answer any questions you may have. You may also contact us by clicking this link and filliing out the contact form so that we can get in touch with you. Thanks for considering Huskies Extraordinaire of Cafitachiqui. 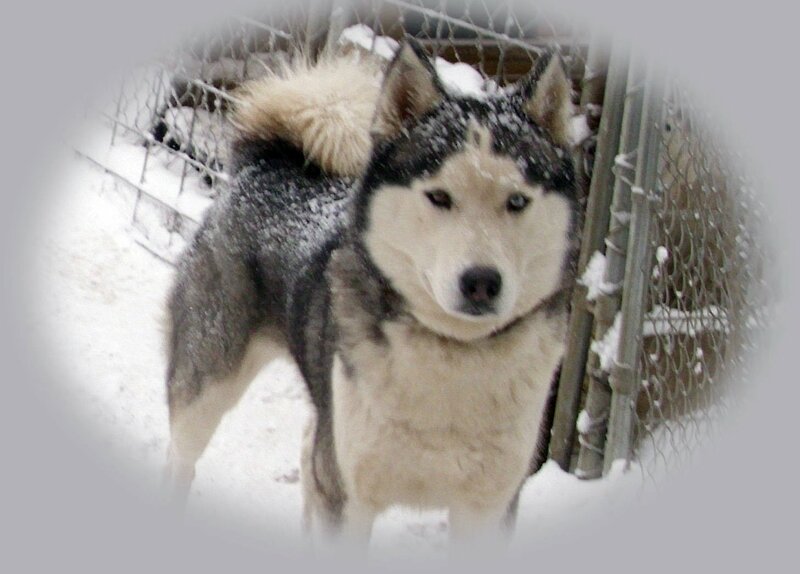 Pictured right Sultan's Shiloh Xavier, our blue-eyed, black & white male w/ open face. 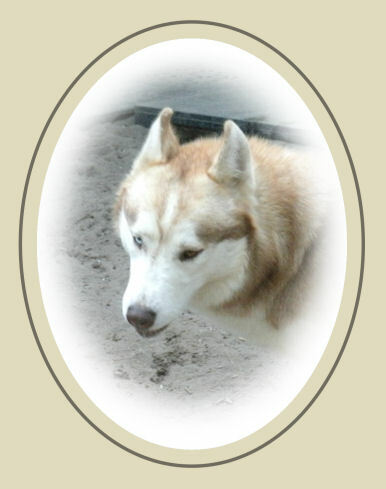 Shiloh was whelped by our once gorgeous red, blue-eyed girl Kiara Belle who is no longer with us. 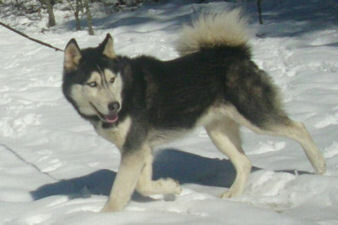 Prince Knut of Nanook (pronounced ka-nute) is our beautiful AKC registered male. 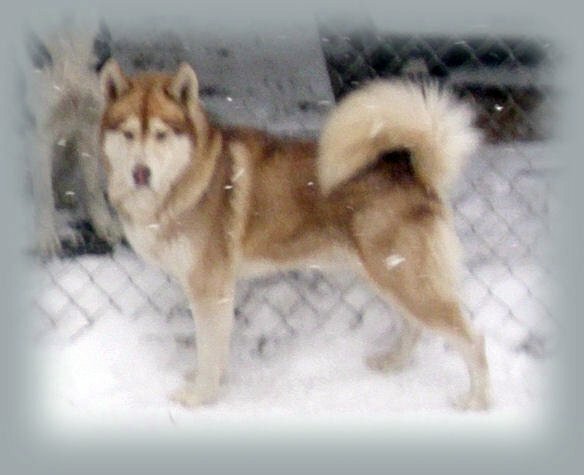 This healthy male is directly descended from the Monadnock line from Monadnock's King and Pando which set the AKC standard for the Siberian Husky breed. The beautiful physical Monadnock characteristics are obvious in this handsome boy. 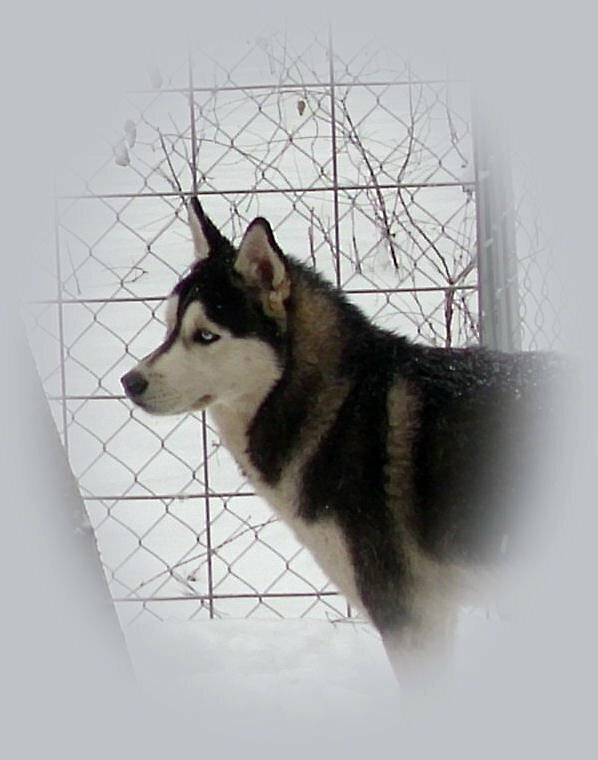 Knut is a black, gray and white male with one blue eye and one parti eye blue and brown and has thrown some gorgeous progeny. 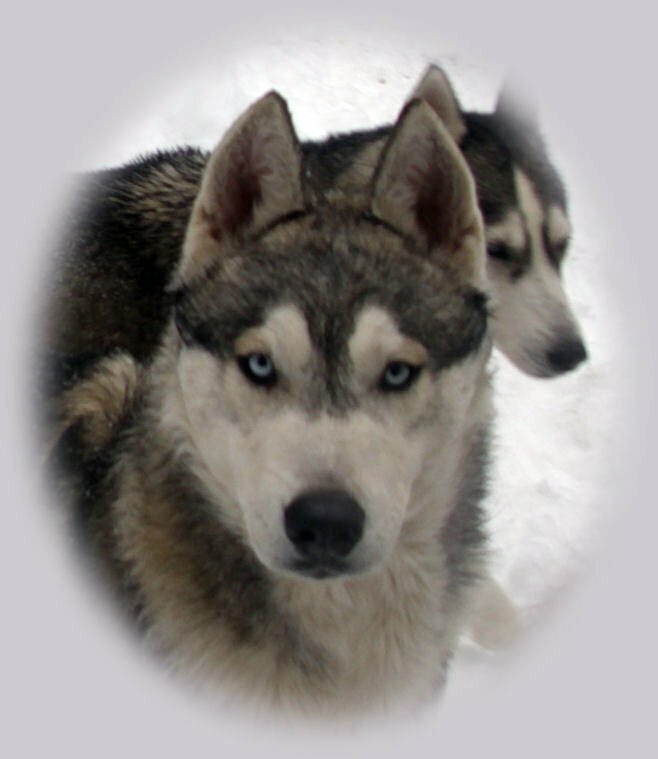 Pictured at right is our AKC black and white bi-eyed male Alikeemah of Enniska Moon. He is one of our younger males. 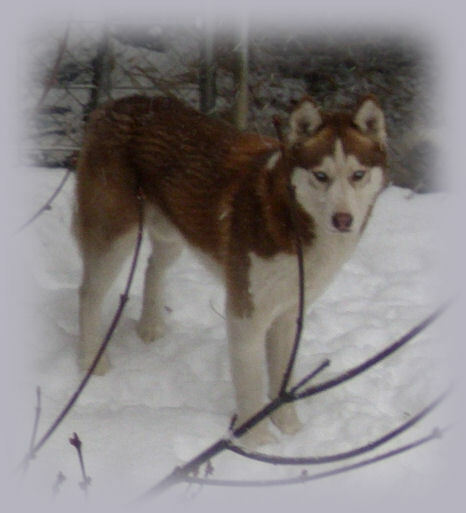 Our Light Red CKC registered male Dakota Apache Blaze is one of our most docile and loving companions. He is a large, healthy male with amber eyes. Blazer is available for stud service. 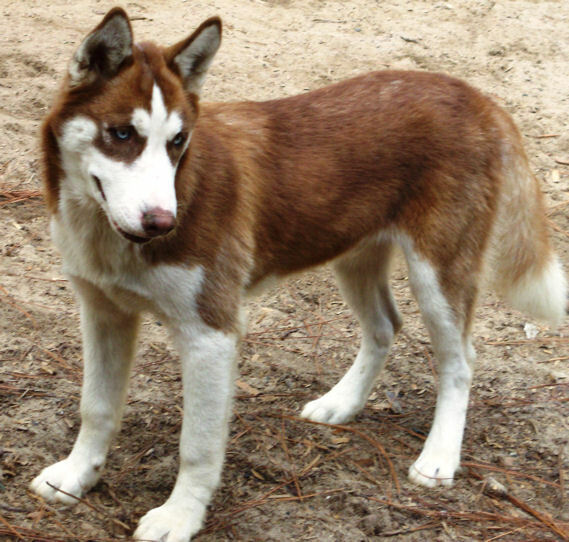 Bad Az Yukon is a deep copper red with the most gorgeous Blue Eyes. He is still a teen right now but at full maturity he will be a fine, well-toned and regal young male and will be available for stud service. Yukon is one of Fleecie's pups.In the photo at right Yukon was about 8 months old. In the photo above Yukon is almost two. 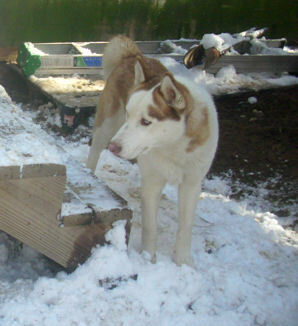 Pictured at right our bi-eyed, light red male Cimmaron Legacy of Akela. 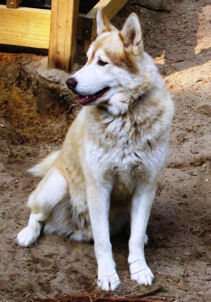 Akela is the progeny of Prince Knut of Nanook and Davis's Princess Lorelei. Chief of Talomico, below, is another of our deep copper red young males with heavenly blue eyes. He is a piebald with more white than our other Sibes. Chief is one of Bo's and Nikki's pups. He is also be available for stud service.